Wilton Armetale serveware is beautiful as well as functional. 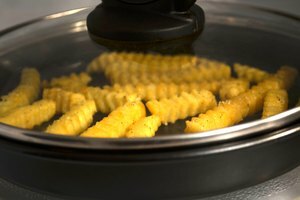 The serving pieces can be used to cook food and then serve it in the same dish. The only pieces that cannot be used for cooking are those that have black paint on them. Proper care of Armetale trays will preserve their usefulness and beauty. The pieces can be passed on through generations. Armetale serveware can be used to bake, broil, cook, grill, chill and serve. They are primarily aluminum, but do contain other metals. They do not contain any lead, of course. Coat the surface with a light cooking oil before use for stain resistance. The bread trays are the only pieces that cannot be used for cooking. The bread trays are for serving only. Wash the pieces by hand with dish soap, rinse well, and dry with a soft, absorbent towel. Do not put them in the dishwasher. Chemicals in the water could ruin the finish. 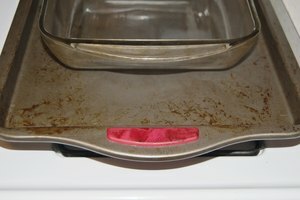 If it is accidentally washed in the dishwasher, you may be able to restore the finish. Mix up a paste of baking soda and vinegar. Rub the piece with the paste and a soft towel or cloth. Wash it with mild dish soap. Repeat several times if necessary. 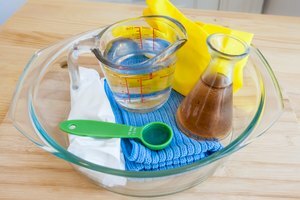 If it still has a dull looking finish after repeating the baking soda and vinegar paste rub a few times, polish the dish with Wilton Armetale polish or Nevr Dull polish. If the polish does not work, take it to a jewelry store or trophy shop and ask them to buff it up with their cloth buffing wheel. Do not store food in the serveware. Food should never be stored in metal containers, especially highly acidic foods like spaghetti sauce, salad dressings and vinegar. The chemical reaction between the foods and metal will cause discolorations and may cause a metallic taste in the food. Remove any discoloration or staining that does occur by making a paste out of baking soda and water. Rub the paste on the stain, rinse and towel dry with a soft, absorbent towel. Use Armetale polish to remove any remaining stain and bring back the shine. Armetale serveware should never be used for cooking in a microwave oven.